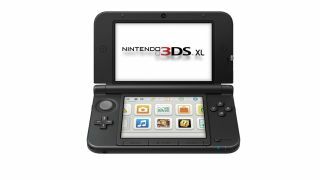 Can the 3DS XL lead to stronger August sales? The video game industry's summer slump has been particularly bad this year, with the latest report from the NPD Group showing sales down 20 percent to $548.4 million for all video game hardware and software. Breaking that number down, gaming hardware saw a 32 percent drop in July compared to 2011, totaling $150.7 million in revenue. The Xbox 360 was the best-selling system in July, with 203,000 units sold. However, that didn't stop it and all other hardware from seeing a sales drop compared to both the previous month and July 2011. The exception is the Nintendo 3DS, which saw increased sales over last year. Nintendo did not reveal the exact sales numbers, but said 3DS system sales increased 44 percent over July last year. It's worth noting that July 2011 was the month prior to Nintendo's drastic price cut for the handheld due to lower than expected sales. Sales of the games themselves are also down for the month of July, with a 23 percent drop compared to 2011 for total revenue of $260.7 million across the industry. The biggest selling game was NCAA Football 13, followed by LEGO Batman 2: DC Super Heroes, The Amazing Spider-Man, Just Dance 3, and Batman: Arkham City rounding out the top five games for July. The rest of the top 10 games for July were all titles released in 2011 or earlier, including Call of Duty: Black Ops, Assassin's Creed: Revelations, NBA 2K12, Call of Duty: Modern Warfare 3, and Dead Island. Notable summer releases that were among the top 10 games for June – such as Max Payne 3, Diablo 3, and Ghost Recon: Future Soldier – dropped off of the list entirely in July. It should be noted that the NPD numbers do not represent the total of all video game sales, as they do not track PC downloadable game sales or mobile games on iOS or Android devices. For example, July also included a massive summer sale through Steam that is not represented in any NPD report. Summer is historically the low point for the video game industry, with August and September starting the end of year holiday release schedule. August is expected to see an improvement in the industry, with the release of the Nintendo 3DS XL hardware and games like New Super Mario Bros 2 and Sleeping Dogs.